The German Resistance: Hans Bernd Gisevius - "To the Bitter End"
Hans Bernd Gisevius - "To the Bitter End"
Yesterday I received a parcel containing a first 1947 edition of a book entitled "To the Bitter End," being the first English translation of the post-war memoir of Hans Bernd Gisevius, a central figure in the German Resistance and one of its very few survivors. The memoir suffers from serious flaws well-known to historians in the field, not the least of which is his consistently jaundiced view of Stauffenberg, likely the result of Gisevius own resentments and jealousy. Gisevius' memoir is considered to be one of three key insiders’ accounts of the various plots and machinations of the various factions that plotted against the Nazis from 1933 to 1944, the others being "The von Hassell Diaries" by Ulrich von Hassell and the "Secret War against Hitler" by Fabian von Schlabrendorff. Gisevius’ book has the advantage of covering the history of the resistance from the Nazi seizure of power to July 20, 1944 and the period following. I have owned a copy of Gisevius' work for years. But this one is special - it’s actually signed by him. To the front flyleaf of the book is pasted a dedication to a couple named Lois and Jim Perryman from 1955. When I saw it for sale on the net, I hesitated for about 3 seconds before buying it given it had a very reasonable asking price. I have been looking for a Gisevius signature for my collection for years now and to find one affixed to a first edition of his excellent book is an extra treat. 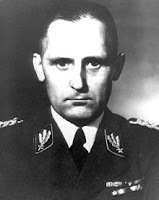 Gisevius’ post-war reputation was significantly tainted by several factors including: his unfavourable depiction of resistance icon Claus von Stauffenberg; his friendship and vigorous defense of the reputation of senior police officer and Einsatz Group B head Arthur Nebe; his general views on the guilt of the German people expressed in the witness box at Nuremburg (where he testified against Göring and for Schacht) and finally, his personal contacts with Allied intelligance which resulted in his survival while so many others died. As a result, Gisevius spent many years after WWII residing in Switzerland and the US, rather than in Germany. After graduating law school, Gisevius began his civil service career in the Prussian political police shortly after the Nazis’ seizure of power but before the force’s late 1933 transition into the tool of suppression that would come to be known as the Gestapo. He was an early resister, souring on the Gestapo after suffering some career blocks when he disagreed frequently with Gestapo chief Rudolf Diels and after suspecting Nazi crimes in the commission of the 1933 Reichstag Fire and the 1934 “Night of the Long Knives.” After being discharged from the new secret police force, Gisevius moved the Interior Ministry where he continued to perform more or less official police functions until Himmler was put in charge of all policing. He kept up close relations with his friend Arthur Nebe, chief of the Kripo (criminal police or German CID-equivalent) and through Nebe he was kept up to date with Himmler and Heydrich’s plotting to remove generals Blomberg and Fritsch in 1938. Later in 1938, Gisevius became actively involved in Hans Oster’s 1938 conspiracy to arrest and kill Hitler during the Czech crisis in the interest of avoiding a world war. Gisevius’ background as a Gestapo official with an antipathy to the Nazis made him a natural candidate for recruitment into Admiral Wilhelm Canaris’ military counter intelligence organization, the Abwehr. He established close relationships with Canaris’ second in command, Hans Oster, and he worked to position the Abwehr as a restraint on the increasing power of Heinrich Himmler and the SS. Gisevius was involved in the 1939 and 1943 plots against Hitler and he was assigned to the consulate in Zurich for intelligence duty. Canaris arranged for Gisevius to be appointed Vice Consul in Switzerland, where he met with and established a close relationship with Office of Strategic Services (OSS, later CIA) head Allen Dulles in 1943. 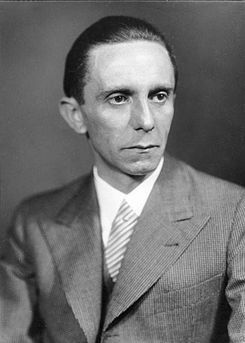 In this role Gisevius served as the primary liaison between the western allies and the German opposition to Hitler. He had close ties to Generaloberst Ludwig Beck, Admiral Canaris, and ex- Leipzig Mayor Carl Goerdeler. He was heavily involved in secret talks with the Vatican. On one of his return trips to Germany he was detained by the Gestapo and subsequently released. He immediately fled to Switzerland and declined numerous "invitations" to return officially. In 1944, he bravely but secretly returned to Germany to take part in the July bomb plot and coup attempt. Gisevius was on the conspirators’ cabinet list to serve as State Secretary in the event of a successful coup. Present at the Bendlerstrasse on July 20, he watched with frustration as the coup started to lose traction and as the professionals of the General Staff showed that they were amateurs at conspiracy. Observing the failing momentum as the afternoon wore on, he commented to Stauffenberg “don’t you see what kind of duds you have around you here?” He argued to Stauffenberg that the coup needed a “some corpses now” to get it back on track and he recommended that an assualt group of lower ranking officers and troops be sent to the Prinzalbrechtstrasse and the Propaganda Ministry to shoot Heinrich Mueller and Goebbels. Stauffenberg agreed, but by the time Colonel Jaeger could be sent, the tables had turned with the defection of the Guard Battalion. When the coup had clearly failed, Gisevius managed to exit the Bendlerstrasse and go underground in Berlin. He first hid in the home of his future wife, Swiss national Gerda Woog, and he eventually managed to flee to Switzerland in early 1945, with the assistance of a passport that had originally belonged to Carl Deichmann, the brother-in-law of Helmuth James Graf von Moltke. The passport was doctored by US intelligence in Switzerland and Gisevius was able to make the hair-raising trip across the border, just as the Gestapo was closing in. As a result, he was one of the few conspirators to survive the war and he probably knew the most of all of them about the conspiracy’s inner workings. 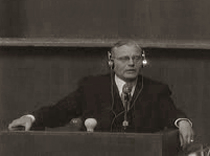 Gisevius served as a key witness for the prosecution at the Nuremberg Trials in the case against Hermann Göring, his former boss in the Prussian Ministry of the Interior. He also testified against Keitel and Kaltenbrunner. In the cases against Hjalmar Schacht and Wilhelm Frick, he served for the defence. In his memoir Bis zum bitteren Ende, ("To the Bitter End"), published in German in 1946, he provided an effective condemnation of the Nazi revolution and leadership and he commented on the failings of the German people as a whole, claiming that they only pretended not to know about the atrocities being committed. In 1946, Gisevius was charged by the Swiss authorities and later acquitted in a trial for espionage. Post-war he wrote a book-length defense of his friend Arthur Nebe but he did not wholly succeed in revising Nebe’s soiled reputation. Gisevius died in Müllheim in Baden-Württemberg in 1974. 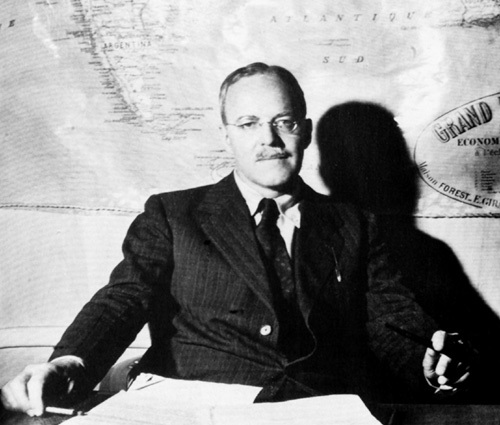 Allen Dulles was not head of the OSS; he was the OSS station chief in Bern. Gen. William Donovan led the OSS. Awesome Inc. theme. Theme images by EricHood. Powered by Blogger.